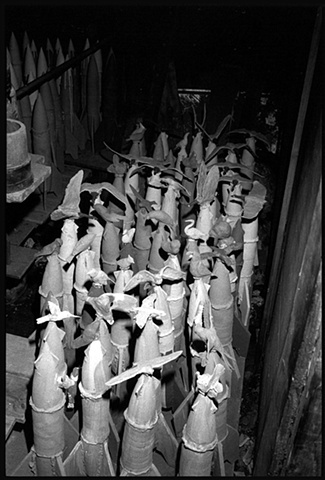 Finished and unloaded wood fired rockets in the kiln shed. © James R Dean. Photo # ?